Las Cruces, Que Tal?​ How’s it going? KTAL brings authentic local voices to the air. Critical local issues. Live music. Your membership is KTAL's most important source of income. Donate today! Space is for everyone! Once again Las Cruces is holding a week-long Space Festival, with lots of hands-on activities and fun things to do. 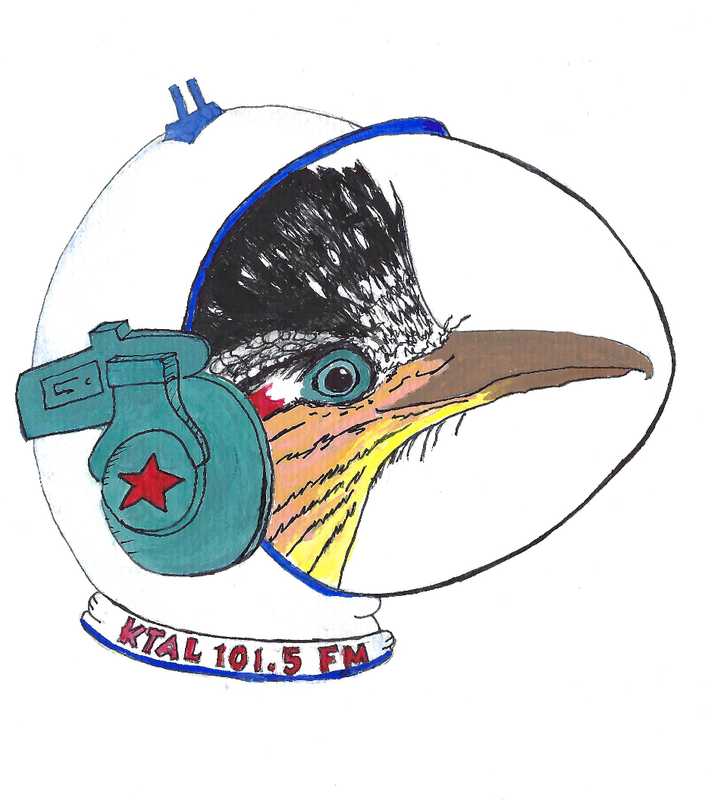 KTAL-LP is participating with a special week of space programming 11 to noon everyday through Friday, April 12, with rebroadcasts from 7 to 8, so you don't have to miss any of our wonderful guests. Look for us on the Plaza on Saturday, April 13, with all the groups participating in the festival, and come see us broadcasting live from the lobby of the Rio Grande theater Saturday from noon to 2! For more information check out the Las Cruces Space Festival website and keep listening to KTAL-LP! ​The entire volunteer staff at Radio Que Tal wish to thank Russell Hernandez and the wonderful staff at Salud de Mesilla who helped make our fundraiser dinner, on Thursday, Feb. 28th, a huge success. Everyone who attended enjoyed the evening of great food and wine. We look forward to partnering with Salud again in the near future. Please help us out by filling out our survey. You can let us know what type of programming you'd like to listen to and provide us information about what kinds of businesses would be a good fit for sponsoring our programming. Thanks! Congratulations to KTAL-LP's very own Norine Dresser. 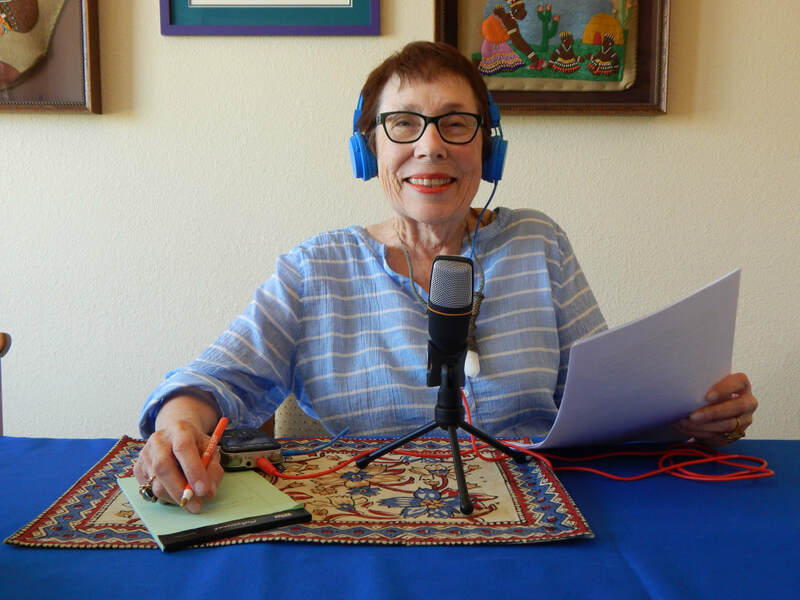 Her show, "Your Multicultural Minute," just won First Place in the Radio Division of the New Mexico Press Women's 2019 Communications Contest. Before moving to Las Cruces in 2012, Dresser wrote a Los Angeles Times column, "Multicultural Manners" (1993 to 2001), that won an award from the L. A. County Commission on Human Relations (1998) for reducing intercultural tensions. As a folklorist, Dresser's passion is demystifying cultures unlike our own. In her columns, books, and KTAL-LP shows, she uses true-story gaffes. She reveals how cultural differences can lead to miscommunication eliciting embarrassment, anger, even laughter. The need for easing cross-cultural misunderstandings is particularly relevant now when ethnic divisiveness in this country is so prominent. Mon & Wed: 7:58 a.m.
Tues & Fri: 11 a.m.
Or, you can listen to her shows on her website. There's a new show on Radio Que Tal following the Cosmic Troubadours on Thursday nights: Live From the Double Wide, hosted by Teresa Tudury. Teresa has had long history in music that started when she began writing songs at age 12 and performing them at age 15. She's released five albums under her own name and she's worked with performers such as Rickie Lee Jones, Lyle Lovett, and Leonard Cohen, to name just a few. Not to mention stints at Rolling Stone magazine during the Hunter S. Thompson years, a recurring role on the Third Rock of the Sun TV series and working as a drug and alcohol family counselor. About ten years ago, she started hosting her Live At The Double Wide radio at KOWS, a community radio station in Occidental, CA. A recent and fortuitous move to Las Cruces has brought her show to us Las Cruces from 9 to 11 PM (Mountain) Thursday evenings. Tune in every week to hear a mix of great singer/ songwriters, R&B, indie, blues, gospel, and alt country . "Everyone I play on my show is someone i know personally and have worked with or have had some dealings with," Teresa says, "so the music gets interspersed with stories or bits of history about each artist." ​​KTAL-LP is run entirely by volunteers and can always use more. We need volunteers! No radio experience required. We'll find something for you to help with. You can propose a show or go to the Contact Us page and let us know how you would like to help. Please become a member of KTAL-LP and contribute on the Donate page. In addition to funds, you can donate equipment. Grow your business while supporting true community radio in Southern New Mexico! Your announcement will potentially reach up to 80,000 people in and around Las Cruces and the Mesilla Valley. For more information, click here.